Mr Som Chhring Tamang came from Everest Region, Solukhumbu district, Chimding Vdc-5, He is well trained, experience guide for the company and likes to prepare delicious outdoor meals during the trekking. In 2002 he has started his job with the company. He has been involved with many Trekking groups on the previous years. 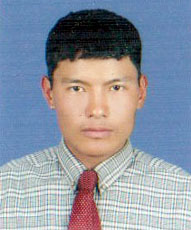 He has got the Government License of trekking and Climbing Guide. Lobuche Peak situated just above the Lobuche village in Khumbu Region. This peak is not far from the Mt. Everest but only few kilometers nearer to the way of this world’s highest mountain. Lobuche Peak has its two different summits, one is Lobuche East Peak (6119m) and the other is Lobuche West Peak (6145m). The route of Lobuche Peak climbing starts from Lobuche village via South bear and South Ridge. Both the Peaks of Lobuche are dramatic and very similar in geometry, forming three-ridged pyramid on each. They dominate the view from the Everest Base Camp trek while approaching Lobuche village located at the base of the Southeast shoulder of the Lobuche East Peak. The South and Southeast Ridges form a typical rock triangle extending to the Khumbu Glacier sideways moraine and easily identifiable from the trek and in particularly from the hill with stone memorials. The trek to approach for Lobuche Peak Climbing starts from the renowned valley Lukla, after a short 35 minutes spectacular flight from Kathmandu and follows through colorful Khumbu Area’s Sherpa villages. Namche Bazaar, the famous ancient trading post between Nepal and Tibet; Tyangboche with significant Buddhist monastery set in the backdrop of classic Lhotse view; Pangboche the highest Sherpa village; and Dingboche the gateway to Island Peak are the villages passes the trekking trail for the Lobuche Peak Climbing. Walking up to, Gorak Shep village (5125m) added as part of acclimatization sequence for the Peak Climbers, Kalapattar (5540m) a satellite peak of Pumori for a classic view of Mt. Everest and the Khumbu Icefall and from Gorak Shep to take a hike to visit the Everest Base Camp. With these acclimatization qualifications, we walk back to Lobuche village and trek to the Lobuche East Base Camp (5200m). We will allow two days for acclimatization here again and the climb along the South Ridge to the summit (6119m). The views from the Base Camp and climbing route are superb on Amadablam, Pumori, and Everest and from the summit we will have 360deg classic Himalayan panorama on many significant Himalayan peaks of Khumbu region, major Himalayan glaciers and alpine lakes of Sagarmatha National Park. Friendship World Treks offers full board package for these Lobuche Peaks Climbing as a Classic adventure, which includes climbing permit from NMA, and all other necessary logistics form arrival up to departure from Kathmandu. Upon the request of our climbers, Snowy Horizon also offers only base camp service of these peaks climbing where the climber may arrange all their required logistics for above the base camp. Yet, the company provides the Peak Permit. 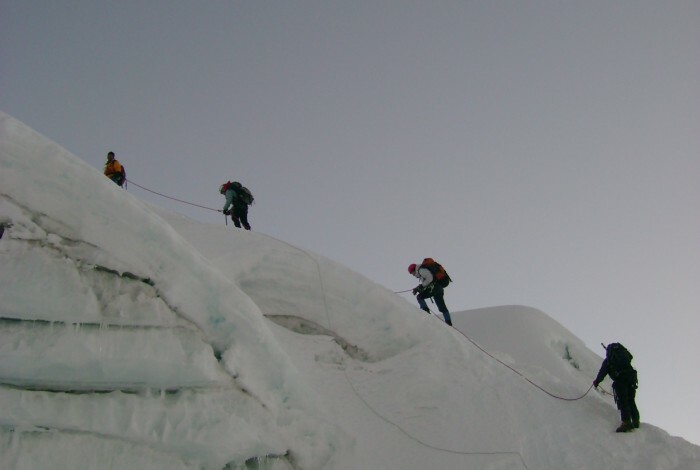 The route of this trekking and climbing lies in Everest Region known as Khumbu Area too. We invite both the climbers requiring full board service or base camp service for this Lobuche Peak Climbing. Our service includes the proper maps of the trekking and climbing route, hygienic high altitude food cooked freshly by our experienced cooks, experienced and professional trekking and climbing Sherpas and guides, sufficient and quality logistics, properly arranged arrival and departure transfers, well managed accommodation and tours to Kathmandu valley. 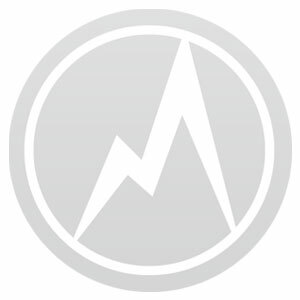 Lobuche Peak 4 Days Climbing Courses $850. 15 DAYS US$2500 Per Person. 4 DAYS COURSES ISLAND & LOBUCHE PEAK- 2 NIGHT IN B.C. FALL SEASON: $980 Per Person. 4 DAYS COURSES ISLAND & LOBUCHE PEAK- 1 NIGHT IN B.C.